Hold your horses if someone have been pushing you to invest in a Fixed Deposit. The push might most definitely be in the right direction because Fixed Deposits are a smart investment choice. But there are some mistakes that are often made resulting in minimum returns or unforeseen losses. In this article, you will read about the common mistakes that people make while investing in an FD. But before that, you have to understand the basics of Fixed Deposits. It’s an investment option offered by financial institutions for a tenure stipulated by them. It’s somewhat similar to your savings account, but much more profitable. The reason for which can be attributed to the higher interest rates, as compared to a savings account. Now, the way this works is quite simple. You take some money and deposit it for a fixed tenure. The financial institution offers a fixed rate of interest, which keeps adding more money to your initial deposit until the expiration of the tenure. When this happens, you get your principal amount back along with the interest accumulated over the years. Of course, everybody wants the highest FD interest rates for maximum returns. But this differs from bank-to-bank and also on how long the tenure is. You must’ve realised by now that FDs aren’t risky at all. And nobody’s denying that. You also get more interest, insurance cover, tax returns, and even loans against it. With all these benefits on offer, it’s hard to go wrong with your investment. Now that we have a fair idea of what an FD is and how you benefit from it, let’s move on to a few tips that will help you keep your FD investment safe. Whenever saving money comes into question, one automatically thinks of a bank. This is the same for Fixed Deposits too. Of course, all banks have FD schemes lined up for investors like yourself, but so do NBFCs, cooperative societies, and companies. Here’s another interesting fact for you—the parties mentioned above (besides banks) offer interest rates that are much higher than that of most banks. Another mistake that people make is not thoroughly researching the party offering lucrative FD schemes. You must read up on them, seek counsel from financial experts, and determine their financial health, reputation, and future prospects. Before you make a decision, use an FD return calculator to figure out what you stand to gain financially considering the terms and conditions offered by the financial institution. So you might think that putting all your money in an FD scheme guaranteeing high interest is a safe and profitable move, but it really isn’t. Have you considered what might happen to your money if a bank fails? The question that arises here is how will you recover the money in the wake of such a disaster? Under the rules set by the DICGC—a subsidiary of RBI— deposits up to Rs.1 lakh, for every individual, will be safeguarded. But if you have deposited more than that, say Rs.4 lakh, in an FD, and the bank fails, you’ll be recovering only one-fourth of the total amount. This is the reason why you should split your deposits into 4-5 investments. What’s more, if an emergency situation arises with the demand for immediate funds, liquidating split-up deposits will result in minimum ‘premature withdrawal penalty’. Although you’re insured against bank failures by splitting up your deposits, you still run a risk of stationing your money in one place for too long; that too with minimum returns on offer. 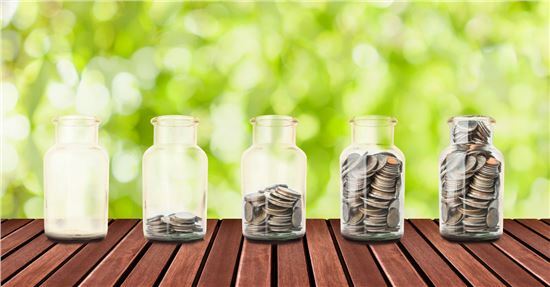 Interest rates fluctuate with prevailing market conditions, so a profitable way to gain more would be splitting up your deposit into 4-5 smaller deposits with varying tenures. You can do this by reinvesting the returns from your matured FD into another with a longer tenure. Doing this ensures constant liquidity, and cancellation of the spike and dip in rates. Perhaps one of the biggest mistakes people usually make in relation to FDs is in the context of tenure. As discussed earlier, a ‘premature withdrawal penalty’ is levied if you break your deposit before maturity. Unless you're sure that you won’t have to liquidate your deposit, don’t sign up for an FD with a higher tenure. Of course, financial institutions will offer FD schemes with high interest rates for those with a longer tenure. And that might coax you into signing up. But you must know that if you decide to break it before maturity, you’ll be losing out on interest and also will incur a penalty for early withdrawal. Tax deductions on Fixed Deposits are real. Even the interest you earn from such a deposit is taxable. Under your current income tax slab, if the income generated from FDs is more than a stipulated total, usually Rs.10,000 in banks, taxes will be imposed. Inflation affects everyone, and everything, and that includes interest rates too. So, if you’re thinking that FDs can offer safe passage, think again. The bitter truth about FDs and inflation is that the former cannot battle the latter. If you want to be prepared, investments in calculated risks such as real estate, stocks, bonds, and mutual funds would serve as profitable long-term investments. Now that you know about the pitfalls, should you totally back away from the notion of investing in an FD? Not at all. An investment such as this must only be considered if you possess ample funds or want to realise short-term goals. You must never confuse Fixed Deposits as a major investment to better your financial security or one that serves as an asset. Understand what returns you can expect and never delve into situations just because your friends or family said so.